We are now into the start of month 3 of our first full year! You guys are off to a marvelous beginning but this is a marathon, remember: the sprinters trigger the money fast, but Bocannaco is all about the long haul. The fast start in California and Arizona will change -- we're sure -- because word of the Bocannaco 'dispensary' is just getting out! And our dispensary dispenses Balance AND Bacon! Florida and Texas (and most of the other states) are going to start cooking soon! Don't forget: tomorrow is the last day of the month! Be sure that you and your team have met any qualifications that they are going for! Not sure? Just log in to your back office, click on My Account, click on My Money, to see what you are qualified to receive. Founder? Check that, too. It's a Plant: Think About It! Question: Dr. Lawrence, how long does CannaGize keep in the fridge after it is mixed with water? Answer: Oh, don't mix it up and stick it in the fridge. Mix it and drink it! It is not a chemical, remember; it is a plant. We dehydrate it but when you rehydrate it with water, it begins the same deterioration process as any plant. Don't miss these upcoming get-togethers! Resources, Documents for comprehensive schedule of events. And remember, today is a good day to start to make every fairy tale come true! "In 2017 I had a stroke that left me dependent an a assistant living facility for over a year .i had made good progress,but will not be able to make any more according to my respective neurologist. After taking the oil for only eight days my sense of taste and smell is coming back, I had none, a big items for me, I love to eat. Today is day 48... hardly any numbness on my right side, better speech and more clarity and memory. Now I am able to go to a lecture not getting mentally exhausted after twenty minutes. Wow, I have a life again. I will keep you posted, a very happy camper !" (email protected because we don't know who this person is nor whose customer they are) -- but how kind of him/her to write the company!!! Get on and bring your guests to meet this Very Special Person -- Doc has consented to a rare conference call appearance so YOU WILL DEFINITELY WANT TO BE PART OF THIS CALL. What kind of products, you ask? Yes, we're all about health and homeostasis -- but what about the financial climate we are working in? Some interesting figures for you to Ponder -- a j.o.b. still means 'just over broke'. Today, your own business is a requirement. And what better than one that promotes health, homeostasis, AND debt-freedom!! It's not that computers are destroying our jobs. Or that we've moved jobs overseas. As you can see, back in Henry Ford's days and decades after, productivity—a measure of how efficient we are at producing goods and services—and income gains moved hand in hand. "From 1973 to 2016, net productivity rose 73.7 percent, while the hourly pay essentially stagnated—increasing only 12.5 percent over 43 years... This means although Americans are working more productively than ever, the fruits of their labors have primarily accrued to those at the top and to corporate profits, especially in recent years." You'll notice that the divergence begins around 1971... the year President Nixon removed the U.S. dollar from gold. Because paper money printed out of thin air doesn't transmit gains in productivity like real, sound money should. As a result, today our monetary system isn't sound or reliable. Our politicians monkey around with the money supply constantly. They increase the amount of money by huge amounts, in response to demands from powerful groups—especially banks. As a result, the things you need to live a regular life—such as gasoline, milk, housing, and medical care—constantly get more expensive. These prices go up, year after year, even when wages don't. In other words, even though there's been an enormous amount of wealth created by our economy (look at all the huge new houses, condos, skyscrapers... and electronic cars), life for average Americans hasn't improved one bit. The average worker has gotten poorer. Again: That's not because our economy hasn't gotten better. Our economy has boomed through enormous increases in productivity—technologies like personal computers, cell phones, the Internet, RFID tags (for inventory control), gene sequencing, GPS, and fantastic increases to fuel efficiency. You can see these gains in your everyday life. But... on the other hand... everything you need to live and prosper—from food to housing, healthcare to cars and education—has gotten way, way more expensive. Look at the price of a new Ford F-150 pickup truck, for example. It's the best-selling vehicle in America and has been for decades. In 1969, a new truck was $2,500. But today a new F-150 costs about $30,000 for the base model. For an F-150 you'd actually want to drive, the cost is about $45,000. That's almost an entire year of after-tax wages for the average worker! Look at the huge increase in the number of American billionaires. Look at how many more planes Boeing is selling... at the cars Ford and GM are selling all over the world... at the way our entertainment industry dominates movies around the world, and at the way our tech firms (Apple, Google, Facebook) rule the Internet. That's been great for investors and for tech-savvy engineers. These terrific gains haven't impacted most wage earners because the gains in productivity and technology didn't flow through our entire economy the way they should... the way they used to. These gains in productivity, especially the improvements in technology, should have made our currency much stronger... and should have made everything you buy—from Ford trucks to milk—much cheaper. But that's not what happened, as you know. Instead, the cost of just about everything has always gone up. Way up. That's because, no matter how big the gains in productivity are, the government—politicians and the Federal Reserve—have always created more money. Sometimes they do it by creating a lot of new credit. And sometimes by simply printing trillions of new dollars out of thin air. All of this new money ALWAYS causes prices to rise more than productivity. Because wages are no longer connected to gains in productivity... Over time... there's nothing the average American can do to stay ahead of inflation. U.S. consumers now have more than $13 trillion in total debt... the highest total ever, even more than was owed right before the crash in 2007... in order to pay for food, housing, cars, education, healthcare, and other basic expenses. We owe a trillion dollars on our credit cards—which often have interest rates as high as 28%! We've borrowed a trillion dollars to buy new cars—which plummet in value the minute you drive off the lot. And we've racked up about $1.5 trillion for college diplomas with dubious worth. The debt load for the working poor has nearly quadrupled in the past 20 years as a percentage of their income. Simply working harder—or working smarter—isn't benefiting employees anymore. On the other hand, Americans who own assets and businesses have seen their wealth soar over the last 40 years. And so we are left with the biggest income and wealth disparity in America in nearly 100 years. For those who have taken on these incredible new debt loads, it's a very stressful way to live. So many Americans today are in a hole. 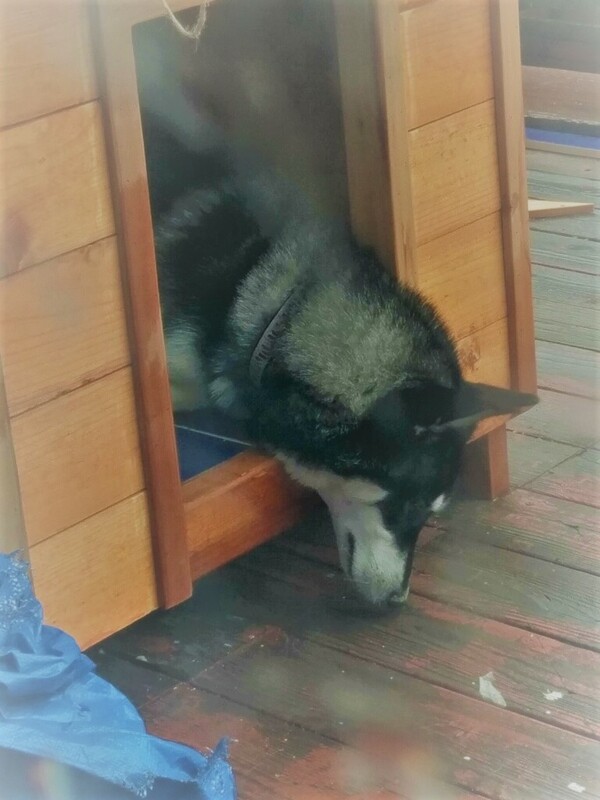 They are extremely stressed out, and feel there is no way out. Mission Statement at the end! found a new medium with which to forge an attempt at making a fortune. may not purchase is medically efficacious or snake oil. the roots of the plant. "Healthy people. Healthy profits. Healthy difference." You said TIRED, PAIN - We say CANNAGIZE, BOCANNACAINE !! Martin is on City Council in Hanford Calif where we did meeting last nite. He had two guests at meeting and both signed. Martin’s Sponsor (also there) used to be Mayor of Hanford. Martin tried BocannaCaine for the first time! This is from MD friend of Mike's who got his Cannagize yesterday. He is an Anestheologist and many times works a 24 hour shift. "WOW!! Drank Cannagize this am!!!!! Feeling great today. May be coincidental?! But, I think I felt more energetic inside an hour?!" Doc said that the oil is stable until it gets below somewhere around -20. I can't remember the exact number. If it freezes then it will have been compromised. But like any oil, it will have to be very cold to freeze it. The Gospel according to Desi! From Marcie High: Here's an exciting short story I thought you might get a kick out of reading. A couple nights ago while I was making dinner I had a knock on the door. To my surprise it was our local sheriff who said he had a call in complaint that I was operating a business with out a business license. It clicked in my head that I have a banner on my gate around my property advertising that I sell THC-free CBD oil. So I asked the sheriff “Is it because of my sign?” The sheriff looked at me like YOU’RE CAUGHT and said “uh yeah” very confidently. In my relief I chuckled. I then explained that I don’t need a business license because I’m a distributor for an on line business. I let him know that I don’t grow the plant nor make the products on my property and informed him that we have the largest hemp fields in the United States and that we use continuous chromatography to extract the oils from the plant. I then let him know how a customer orders the products and that I usually have some on hand. I asked what the law states in Washington about having a banner on my fence. He said I am completely legal but he is concerned with what type of people I am attracting. 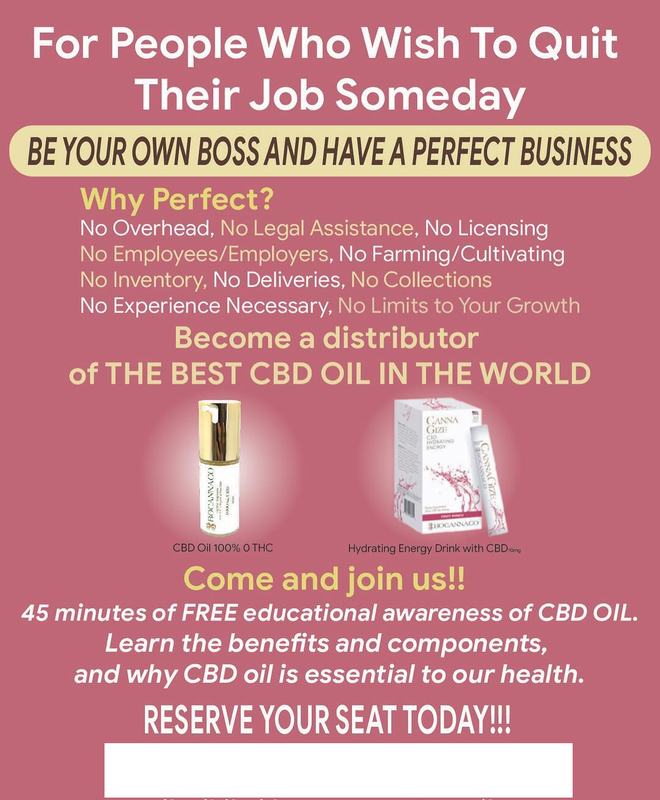 I knew then that he was not clear on what CBD is, so I explained that I am attracting people who want balance in their body and minds without the HIGH. 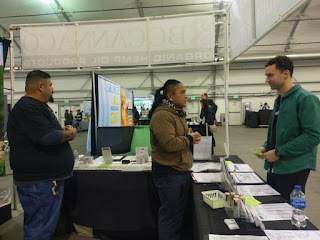 I told him my story of how CBD helped me get off of so many prescriptions meds and helps me in so many ways. Then I said very proud “even you can take it and pass a UA”. I, of course, pulled out our certificate of analysis went into detail and examples of the people I have attracted and how the oil has helped them. I then asked who called this in and of course he couldn’t tell me, but this led the officer to come up with a wonderful idea. He said in an excited tone “hey, I got it... why don’t you put up one of those flyers boxes like when someone sells a house and it has all the info on a pamphlet and then people can just grab that and go”. We ended our visit so happy like we knew each other for years. I have never been so happy that someone called the police on me. To that person, I thank you. I now have support from my local sheriff and an added flyer box for those who don’t feel comfortable stopping or calling. There is something for everyone now. Just another day sharing the good word. "At Fresno meeting last nite, Lady there who had surgery on wrist from a bad fall a few years back and always in pain and always cold. Has steel plate in her arm and 8"scar and pins in her fingers. Mike had Bocannaco sample from Sept 2018 and told lady he did not know if it had any power left. Put one squirt (from bottom of sample) and in SEVEN SECONDS she telling her Hubby and crowd how warm her arm felt. In one minute she was about to cry. Unbelievable. She wanted to buy product but sad to tell her not ready yet." Missed the Monday Night Bocannaco Call? Click here to listen (John Lambeth starts around minute 17 if you need to fast forward)! 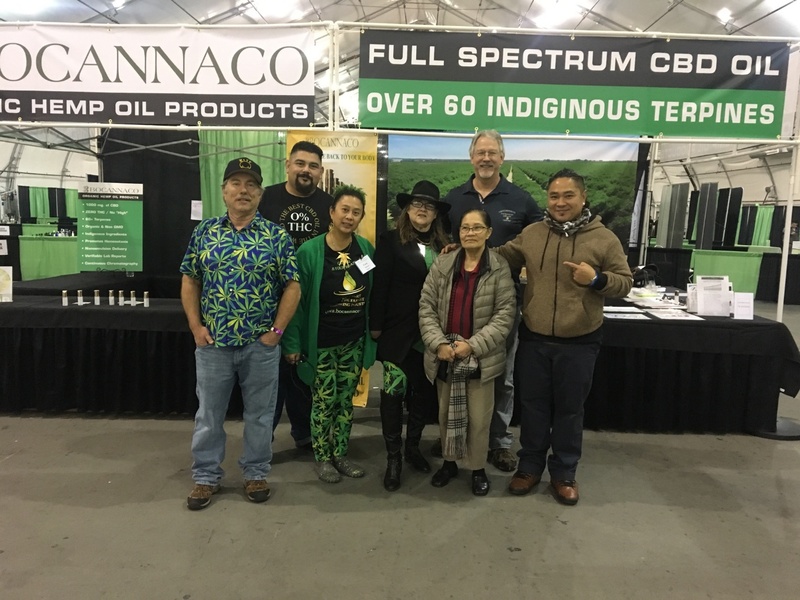 From West Coast to Mid West, Bocannaco distributors are pushing the envelope of how to share, pump, share their golden oil and the energizing CannaGize with the most people the fastest! We had a blast at the MidWest Regional in Indiana over the weekend. Youngest Host/Emcee in the Bocannaco Universe that we know of proved his worth by moving a great event along without a hitch, thank you! 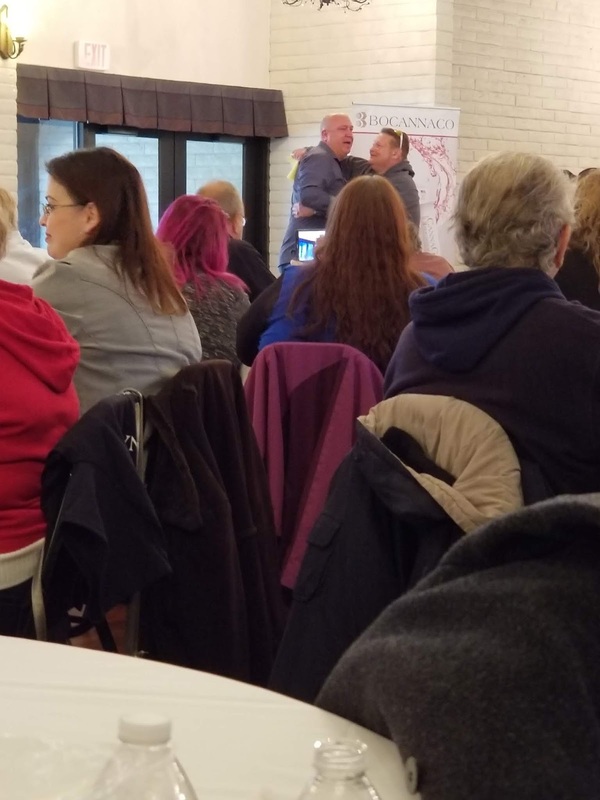 We're talking about Raymond Kosinski who put his whole 19 years on the line and scored a major hit -- congratulations to all who participated in the excellent training, motivation and testimonials. You guys ROCK! For an exhaustive spread of photos, videos, and more photos, hop over to Facebook! Mr. Kosinski and Mr. Downs kicked off a hot event on a cold day in Indiana! Founders Marilyn and Cora are rooting for new Distributor Sandy Gonzalez! Meet and Greet was Lotsa Lansing Fun! New Distributors Ishmerai and Paul at the booth. Win a chance to see the hemp fields! Bocannaco is holding a contest for all distributors to visit our 10,000 acre hemp farm in Colorado Springs, Colorado! -Contest will run from February 1st, 2019 through May 31st, 2019. -As a bonus, we're including any distributor activity (new legs) for the month of January. -A distributor must personally enroll at least 3 distributors (no maximum) who sell/purchase product. -At least 3 of the new legs must produce team volume of $3,000 each. -Once eligible, total team volume from new distributors (enrolled after 01/01/2019) will decide the top 50 winners. -Harvest time won't be known until about 1 month prior to harvest, which is usually in July. We want to make sure you get to see the fields before then, so the date of the trip will be announced in the last week of May. -Bus tour to private 10,000 acre hemp farm and walk in field. -Tour of 150,000 square foot processing facility to see firsthand how Bocannaco's product is planted, grown, processed, and shipped. -Saturday night special dinner with Recognition to Top Ten Team Volume Winners. We are so excited to share this journey with you and look forward to seeing you there! 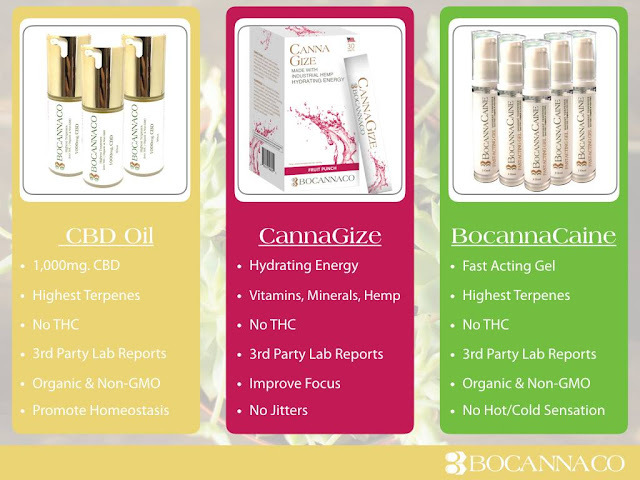 Please send any questions you may have to support@bocannaco.com. 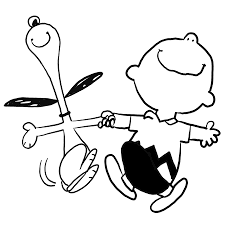 CANNAGIZE IS SHIPPING NOW AT THIS MOMENT YIPPEE YAHHH! Thanks to all who shared on the Monday Night Bocannaco Phone Call! You guys ROCK:) To listen to the recording, click here. Dr. Lawrence with Kathleen and Warren Pannett, who head up the Fresno, CA, Tuesday night Bocannaco soiree! 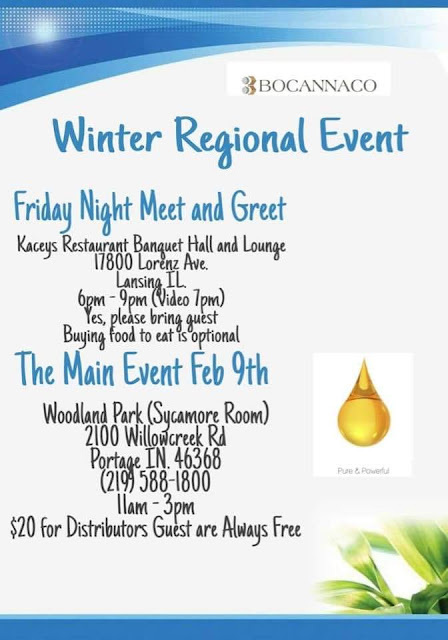 If you are in the Central Valley area, stop by tonight to see what's going on! Drop in with a guest to one of the many new Bocannaco team events popping up around the country: check the Event Schedule in your Back Office or Team Bocannaco and Hemp Team Leaders in Facebook Groups. BTW, there is a great Bocannaco testimonial group on Facebook at Testimonies of THC FREE CBD OIL -- apply if you are a Distributor. It is so amazing to read the stories on there! Gotta pay the rent somehow! Absolutely fantastic time in Torrance for Super Saturday Training! If you haven't seen the pics on Facebook (group Hemp Team Leaders) some will be posted below. Thanks to Eli, Phil, Macy, Lura and the whole OC/LA Team! The training was originally to be for a few who would come to Doc's office. Then word got out, distributors wanted to drive in, so venue went to hotel. Set up was for 50, then increased and increased... by Saturday, the room was set up for 75. IN THE MIDDLE OF A HYUUGE STORM.... 20 + more chairs had to be added -- peeps came from ALL OVER and we had a blast! See Phil's video when it posts! CONGRATULATIONS to the 20 new Founders who got the job done in less than 8 hours Thursday night! They with the help of their uplines did amazingly! 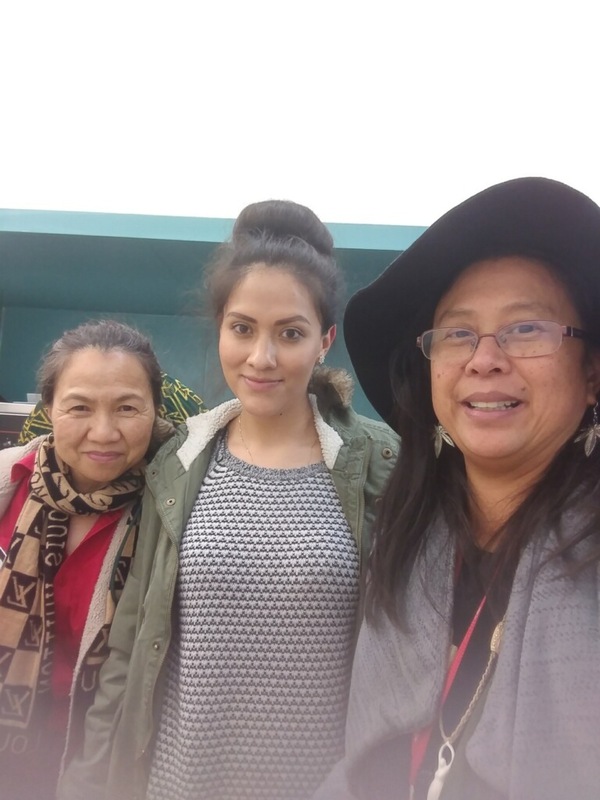 "Looking forward to seeing you this Wednesday February 6, 2019 7-7:45pm @ Roundtable 2227 Gellert South San Francisco --- ALL BOCANNACO Distributors Welcome!" 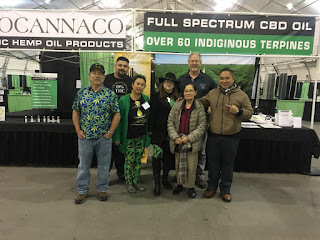 We LOVE every Bocannaco event that we are privileged to go to: don't take these events lightly, guys -- the fun, the sharing, the learning, and the friendships made are amazing. If you have to make money on purpose, this is the best way we know of to pay the rent!